Saw this interesting article from The Guardian- my initial reaction is this is just a bunch of baloney but I will think it over a while. It sounds like too much political correctness to me. If an album is great it’s great I don’t care about the demographics. Meanwhile the author Michael Hann can get off my lawn! I’m in agreement with you: it is baloney. Worse, it’s click bait. The rock canon is and ever will be the rock canon, just as jazz and blues have their canons, classical has its canons, and the American Songbook is a thing. So, too, will the current generation have its canon, and so forth down the line for as long as people feel the need to create music that speaks to them. Even if the audiences are separating, the musical artists creating those canons and hearkening back to what inspired them and pushing things forward, just as previous generations did. A number of spot on points and you are probably correct- click bait. I wonder if he even believes half of what he wrote? Was he assigned this article and told how to slant it? It wouldn’t shock me if he was. 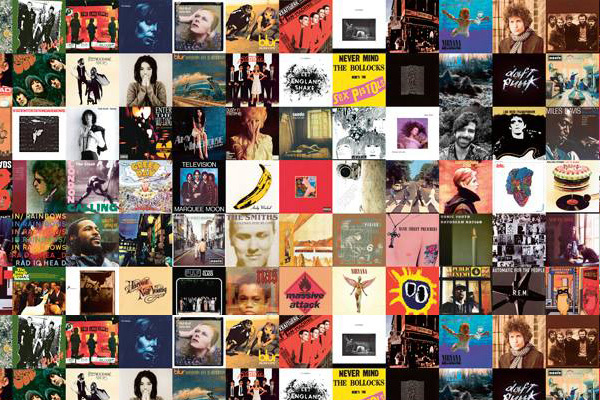 There are great albums- songs all through the years and all kinds of styles. It’s all good. I had to laugh when he said something about how Morrissey acts these days- and how it could effect the reputation of The Smith’s music. The Smiths broke up 30 years no matter what Morrissey says or how many concerts he cancels it won’t change the music The Smiths made. The internet works on hits to support advertising. Nothing generates those clicks quite like controversy. Just ask a Star Wars fan. 😛 That Morrissey comment is like pointing fingers at some of Michael Jackson’s antics. Regardless of where you stand on some of the later things, he’s still the King of Pop for a reason. Morrissey may not be on the top of his game right now, but his legend is secure enough, just as you say. Glad you mentioned Michael Jackson- because that is correct- no matter what he did post- Thriller- that doesn’t made Thriller or Off The Wall- not the great albums that they were. …I will listen in the car sometimes to talk radio- be it sports or politics or the weather- some hosts just love taking a controversial stance just to get attention/ listeners. Sometimes I think “they can’t possibly believe what they are saying”- and I think sometimes they don’t.. looking for their version of internet clicks. It’s the world after shock jocks, I suppose. Nobody wants to be profound anymore, they just want to light up the phone lines. lol. But seriously, we can take this all the way back to the original bad boys of music. Mozart, Beethoven, Berlioz… the stories stand, the music stands, and tickets still sell to hear it performed. The Beatles are already being performed as classical music, with some performers recreating the scratches and pops in the recordings. It’s surreal! Who knows how that’ll develop in another generation or two? In one of Chuck Klosterman’s recent book of essay’s – I think its called “What If We Are Wrong”- or something close to that.. He writes wondering how future generations will look back and view our pop culture- I forget the year he uses but say in 50 years who will they look back on during the early 2000’s and view as the greatest writer? He speculated some but said it is entirely possible it will be someone who at the moment isn’t selling many copies of their books but in the future they will look at what that person is writing about- will appeal to what the world is like then… and he also speculated on who the future will view as the classic rock music artist- his final answer was of course speculation but Chuck Berry. And I like that answer! It makes perfect sense. His one and only #1 hit is one many today haven’t heard, but who doesn’t know Johnny B. Goode? Pop culture has some truly bonkers forces out there. There’s no telling what’ll resonate down the line or why. All we know is the classics are branded as such for a reason. I’m perplexed at the whole notion of applying canons to rock music. It’s the music ‘business’ that’s obsessed with institutionalizing, categorizing, installing boundaries and limits, and generating a matrix of all things. That has nothing to do with making music, or with a person’s individual musical tastes. If anything, rock music (and probably most music) is about defying convention and producing a sound or lyric that connects with listeners in a new, unexpected way. Agree that this article is sort of click bait. Article is based on a false premise – that the “rock canon” is THE Canon for all popular music, and since there is so many other types of music, how can it be? You can find lists of the best albums/singles whatever for any genre of music, probably even back in the 70s – rock, pop, r&b, country, classical, jazz, hip hop – there’s even probably a list somewhere for death metal. Point is that there are great artists / albums/ songs in every genre, so this idea that there is only one list (or canon) that needs to be thrown away is dumb.